Wired Memories: San Francisco has been called a 7x7 gilded cage. If this is true the San Franciscan is a bird on a wire, or under one. The web of power lines and electric bus lines that cover the city is a symbol of our lives, intertwined in organized chaos. These lines on the face of the city are rife with character. 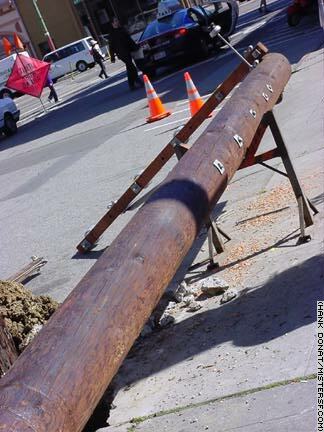 Utility poles, wizened and listing, wear history on their sleeves. Like memories, they need to be replaced every so often and will eventually disappear.